As part of my Final Year Industrial Training, i was successfully completed it from 11 May 2009 until 10 July 2009 at YTL Power Services Sdn Bhd (YTL Pasir Gudang Power Station). This is a little bit information about this company. YTL Power Services Sdn Bhd is a multi-disciplinary services company registered in Malaysia, specialising in the operation and maintenance of power stations. The enterprise is jointly owned by YTL Corporation Berhad and Siemens AG of Germany. It has its origins in Malaysia’s newly competitive power industry, which was transformed in the early 1990s by privatisation and the arrival of independent power producers. The company manages the entire range of operation and maintenance (O&M) activities for YTL Corporation’s two Malaysian power stations, which together generate about 15% of the electricity consume in Peninsular Malaysia. YTL Power Services also provides engineering expertise to other power project in the region. Malaysia's economic growth created a dramatic rise in electricity demand. To address the situation, in 1990 the Government corporatised the National Electricity Board to form Tenaga Nasional Berhad - and paved the way for independent power producers (IPPs) to enter the market. The first IPP licence was granted to the infrastructure group YTL Corporation Berhad. 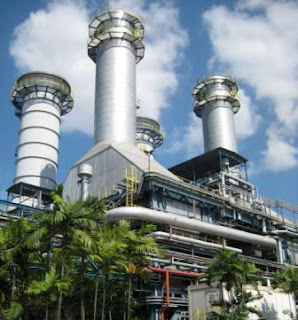 In November 1993, its subsidiary YTL Power Generation Sdn Bhd began construction of two power plants, with a combined generating capacity of 1212 MW, at Paka Power Station (Terengganu) and Pasir Gudang Power Station (Johor). YTL Power Services was incorporated in late 1993. During the construction phase the company rapidly built up its infrastructure - recruiting, developing procedures and systems, and training staff intensively. By October 1994, less than a year after the start of construction, the operation and maintenance teams had been assembled and commercial production of electricity in open cycle began at both stations. YTL Power Services Sdn Bhd was established since October 1993 as a joint venture between Siemens AG (51%) and YTL Corporation Berhad (49%); for the operation of power plants and the sale of electricity from the plants to Tenaga Nasional Berhad. SIEMENS AG, one of the world's largest gas turbine manufacturers and builders of power plants, takes primary responsibility for the design, construction and installation of the plants. It is the first time that Siemens had become directly involved in power station operation and maintenance. The project consists of two-combined cycle power stations. Both plants will serve to satisfy the increasing demand for electricity in growing Malaysia which together generates about 12% of the electricity consumed in Peninsular Malaysia. In June 1996 the company's quality system was awarded ISO 9002 certification from SIRIM, making YTL Power Services the first power station O&M company in Malaysia to achieve company-wide registration. The company presently employs around 170 personnel: most based at the two power plants with a small head office in Kuala Lumpur.